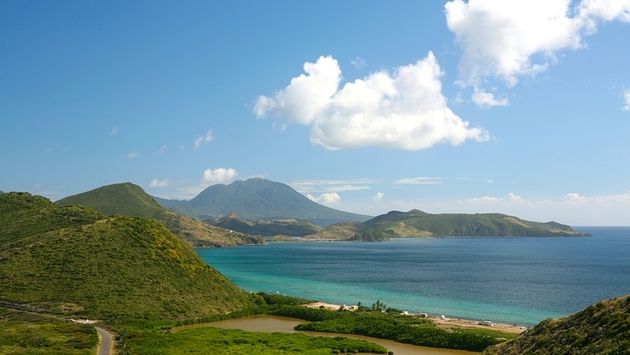 St. Kitts continues to grow its cruise tourism sector at an impressive rate, with a projected rise in cruise passenger arrivals for the 2014/2015 season to more than one million for the first time in the island’s history. This represents a 31.5 percent increase over the 2013/2014 season and a total growth over the past eight years of more than 500 percent. This season’s phenomenal growth is partly because the island will receive six calls from the Royal Caribbean International’s Quantum of the Seas, in its inaugural 2014/2015 season. St. Kitts will also see the return of Disney Cruise Line for the first time since 2009, with the Disney Magic scheduled to make a total of four port calls to the island in 2014/2015. Inaugural calls are also being made in 2014/2015 by Oceania Cruises’ Insignia and Norwegian Cruise Line’s Norwegian Gem and Norwegian Pearl, which together will make seventeen calls. Commenting on the island’s exceptional growth, Federico Gonzalez-Denton, director of government relations for Royal Caribbean International and Celebrity Cruises, said, “The Royal Caribbean family would like to express our most sincere and heartfelt congratulations to the people of St. Kitts for reaching one million cruise guests for the first time in their history. In addition to increasing passenger arrivals from traditional ports of origin of the USA and UK, the geographic markets from which the cruise passengers originate have also been expanding to include Germany, Italy, France and Spain. The cruise lines that are scheduled to make calls to St. Kitts in the 2014/2015 cruise ship season include Carnival, Royal Caribbean, Celebrity, Holland America, Norwegian, Princess, P & O, Cunard, Oceania, Seabourn, Aida, Silver Sea, Windstar, Thompson and TUI Cruises.